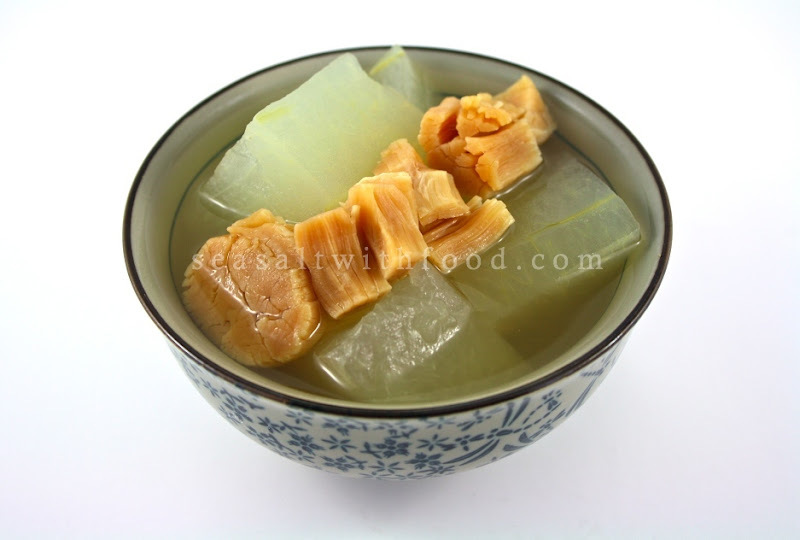 This is a simple bowl of winter melon soup. To me, most of the Chinese style soups are quite easy to make. The key ingredient is the broth. With good quality chicken, pork or beef stock, you can add any kind of meat, seafood or vegetable of your choice. Then you will definitely have a fantastic bowl of soup. Soak the dried scallops with boiling water for about 5 minutes and drain. 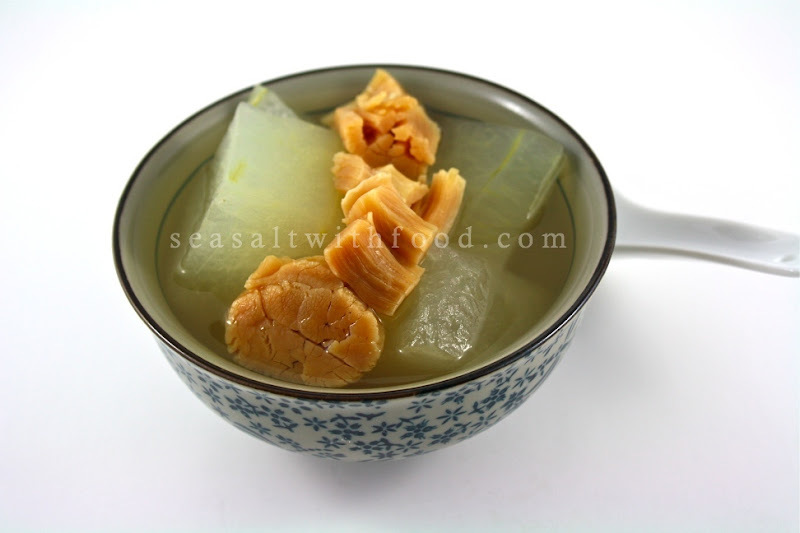 Bring the chicken stock to a boil and add in the winter melon, ginger and dried scallops. Simmer for about 20 minutes on a low heat. Season with sea salt and serve warm.